J Rae & Cie (La Dorade) | Your one-stop-shop for your bakery or pastry shop! 11 Sep Your one-stop-shop for your bakery or pastry shop! 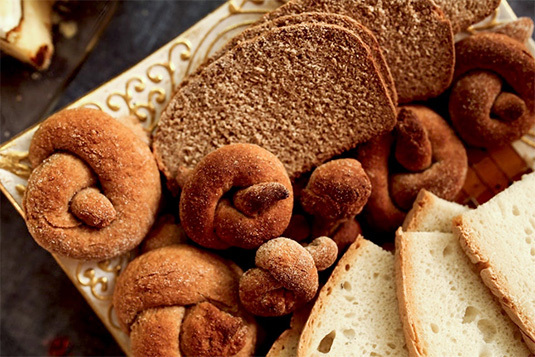 Opening a bakery can pose real challenges because of its highly competitive market. As part of the leading food retailing industry, defining your offer and products is a critical issue to consider. 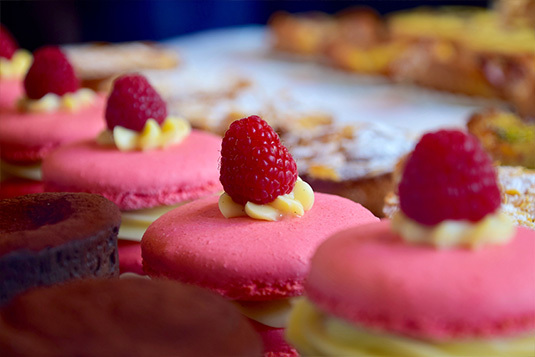 Bread, pastries and desserts being part of your core business, what products will you choose to put forward? This choice is often determined by the availability and quality of products you can put your hands on and as the world of pastry-bakery is not a piece of cake, we would like to introduce our range of bakery and pastry ingredients, sold in bulk, to save you time without skimping on flavor and quality. To help you one step further in carrying out your project, we have prepared a list of scrumptious and versatile products that you can offer to your customers, both on the bakery side and for your pastry offers. And as the icing on the cake, all the products present in this list can be made with our ingredients. Bread holds a special place in our diet and is now found in many forms such as loaves, old-fashioned baguettes, buns and rolls. To better set yourself apart, our range of mixes and premixes of bakery, of incomparable quality, will be part of your essentials for the making of your everyday bread. Our pastry mixes will serve as a base for your creations while our complementary ingredients and our list of fillings, frostings, toppings and icings will give you the opportunity to add your personal touch to your pastries. Whether you are more a blueberry, black or red cherry, strawberry or even a passion fruit fan, you will find your happiness here! Available in large sizes, varying between 5 and 25 kilos depending on the product, our bakery and pastry ingredients stand out thanks to their versatility and ease of use. They will not only allow you to diversify your menu but especially save time. Whether it’s our professional quality raw materials or complementary materials and other supplies for bakeries and pastry shops, you’ll find everything you need under just one roof. By trusting us, you will not need to look any further!